Doctor Who has a history right from the second series in 1964 up to the new series present day with Black Daleks serving as a Junior Officer class. But it wasn’t until the end of the classic series in 1988 when they finally got it bang on. Taking a leaf no doubt out of sinister but cool looking uniforms of history they finally settled on a Dalek version based on the Allgemeine uniform of Nazi Germany in the 30’s & 40’s. 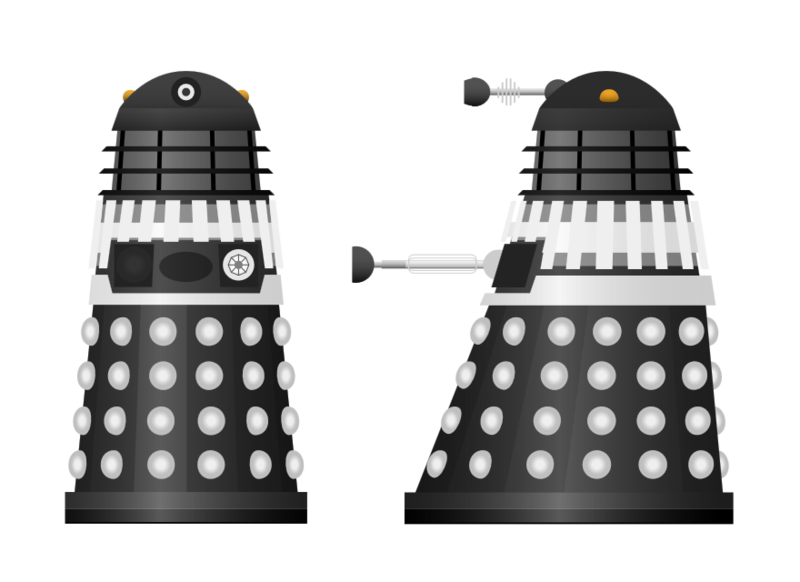 The Black Dalek was the first deviation in colour from the original drones and was used to visually identify an Officer type (on black and white tv) known as the Saucer Commander. This version began with alternating black and metal sides. It was then decided to do away with the zebra sides and switch to an all black body. All the early versions however had the same blue globes that the warrior drones carried. The next black Dalek (excluding some bling movie versions) was the 1973 half black half gold Dalek Council Supreme (see earlier entry) but this wasn’t really a black Dalek so it wasn’t until 1984 when it returned with a black body and matt white globes. Then finally in 1988’s Season 25, Story 7H “Remembrance of the Daleks” the black and silver Dalek Supreme Renegade Leader appeared. 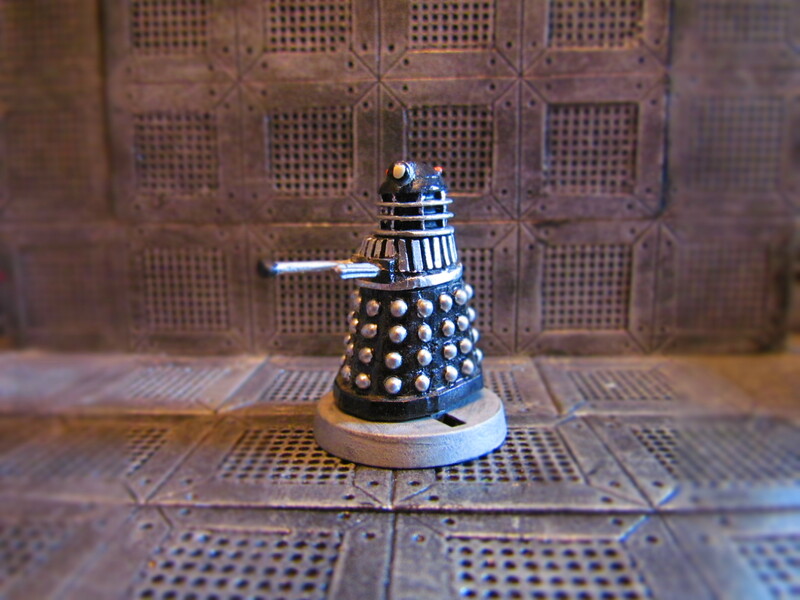 In my view it was subordinate to a higher unseen ranking Dalek but it looked VERY good. So good infact, that Lord Snowdon was commissioned to photograph it for a superlative Royal Mail stamp where it is seen emerging out of a cloud of dry ice.